Honestly, I can’t believe it’s November. I’m waffling between “it should be October” and “isn’t it December already?” We’ve had a long year with a lot of cover reveals, positive reviews, interviews, lists, and–naturally–book launches. But we aren’t done yet. First, NO SURRENDER SOLDIER by Christine Kohler is nominated for ALA’s YALSA Quick Pick list! It was also awarded a bronze medal by the Military Writers Society of America in the YA category. Congratulations, Christine! 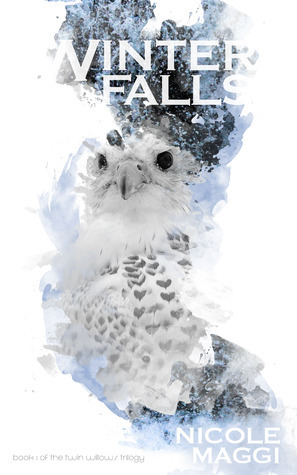 Second, WINTER FALLS by Nicole Maggi got a glowing Kirkus review! Woohoo, Nicole! Best. Princess. Of. All. Time. Amber Lough lives with her husband and two kids in Germany. She spent much of her childhood in Japan and Bahrain. Later, she returned to the Middle East as an Air Force intelligence officer to spend eight months in Baghdad, where the ancient sands still echo the voices lost to wind and time. 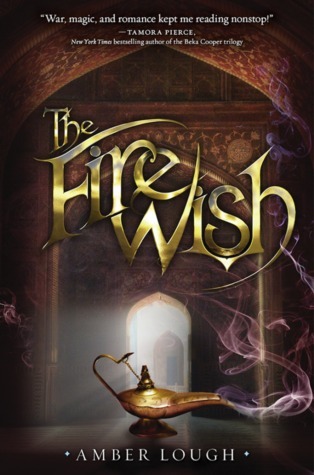 Her Middle Eastern fantasy, THE FIRE WISH, debuted this July 2014 from Random House Books for Young Readers. What’s your book about? What is it really about? Catherine answers this as we discuss her YA debut, the romantic speculative fiction novel A GIRL CALLED FEARLESS (St. Martin’s, 2014). She also gives some hints about what the sequel has in store, talks about how she maintains a balance in her life and writing, and reads a particularly intense snippet! Kate Boorman is an independent artist and writer from the Canadian prairies. She was born in Nepal (where she was carried up the Himalayas in a basket) and she grew up in a small Albertan town (where she rode her bike to Girl Guides). She is fond of creepy things. Speaking of! Her YA fantasy WINTERKILL is out now (Abrams/Amulet and Faber & Faber). Welcome back to MAD FOR MIDDLE GRADE! This post is going to be a bit… unconventional. We’re pulling out all the stops here. And by all the stops, I mean: all the STATS. This post is all about comparing our publishing journeys, and we’re about to prove THERE IS NO NORMAL IN PUBLISHING!!!! How many query letters did you send out? 8 authors had between 1 and 15 query letters. 2 authors had between 16 and 30 query letters. 2 authors had between 31 and 45 query letters. 2 authors had between 46 and 60 query letters. 1 author had over 61 query letters. How long were you querying? 3 authors queried for less than 1 month. 8 authors queried between 1 and 4 months. 4 authors queried between 5 and 10 months. How many offers did you receive from agents? How long was the editorial process with your agent? How long were you on submission to publishers? 3 books were on submission less than 1 month. 7 books were on submission between 1 and 4 months. 2 books were on submission between 5 and 12 months. 2 books were on submission longer than 12 months. How many offers did you receive from publishers? How many books did your publisher buy? What was the deal range? How long was the time between the book sale and the book release? The numbers below indicate those authors who responded YES to the following questions. Thanks for tuning in! Hope you were as interested in some of these numbers as we were! We will return on Monday December 1st for our LAST Mad For Middle Grade segment. *snozzes into a handkerchief* The wheels are already in motion, and it’s going to be a great post–so tune in next time! Lauren Magaziner is a 4th grader at heart, watches way too much TV, and loves to steal people’s toes to make Toecorn, which tastes like chewy, meaty popcorn. Only one of those is true. (Okay… you caught me. They’re all true.) Her MG debut THE ONLY THING WORSE THAN WITCHES—about a boy who becomes a witchling’s apprentice in a town full of dangerous, Toecorn-loving witches—is available now from Dial/Penguin.